Earlier this week, Apple took the wraps off of its new (PRODUCT)RED iPhone 8 and iPhone 8 Plus, complete with that new design that sees a black front panel being used on a red device for the first time. The new design is absolutely gorgeous and there is no denying the fact that a black and red iPhone is perhaps the most striking color combination to arrive in an Apple product since those colored iMacs back in the day. However, while the iPhone 8 and iPhone 8 Plus got in on the action, the high-end flagship iPhone X did not. Apple has not said anything about whether this will change in the future or not, but based on multiple concept images of what that might look like, it really should happen. We shared one example of what a (PRODUCT)RED iPhone X could look like thanks to designer Martin Hajek last month, and now we have another example that comes in video form and truly drives the point home. 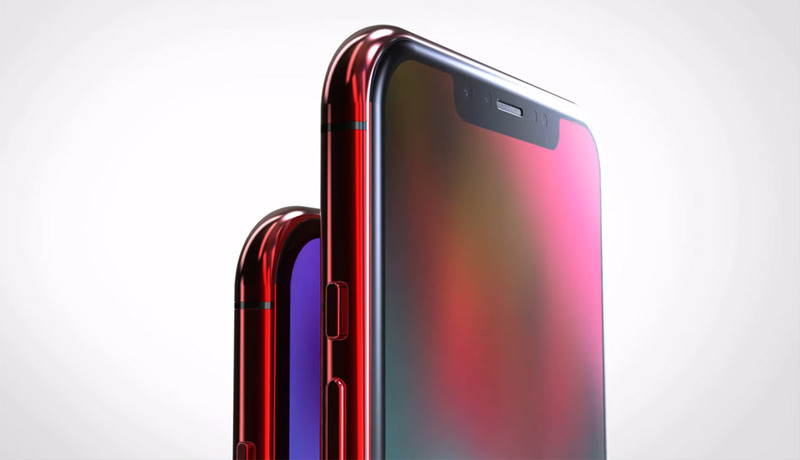 The concept shows red stainless steel edges married with a red glass back that absolutely looks like it would drive home the premium look and feel that the iPhone X already exudes no matter which color you go for. I know that I would absolutely love to see Apple make a (PRODUCT)RED iPhone X, and I thought that before seeing this video. I believe that anyone who doubts how good such a device could look will change their minds after watching the two minute concept and heartily recommend everyone checks it out before penning an email to Apple demanding this thing is built!